There is an aspect of the Education Controversy which specially concerns Distributists, apart from the way in which it concerns Catholics or Protestants or Agnostics. It is the aspect in which only the State is exalted above the School; and the Family is deprived of all influence over the School, as it has been largely deprived of all influence over the State. According to the simple notions of a more normal time, the State consists of the parents of families and the School consists of the children of families, undergoing special training by persons in loco parentis, representing the parents in the School, as the parents represent the families in the State. Quite apart from the negative effect of new systems on religion, there is their positive effect on politics; in that they enormously increase the importance of the State, as distinct even from the citizens of the State. Modern Thought, so called because it began more than a hundred years ago and has grown more thoughtless ever since, has this special defect among many others: that it does not understand detachment or intellectual independence. It will not face facts, and if any man in a disinterested manner points out a fact, it accuses him generally of uttering a paradox and always of trying to prove a point. 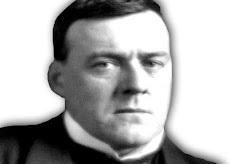 Nobody, or nobody in the newspaper world which counts to-day, has noted a fact first pointed out by Mr. Belloc, I think, but, when once pointed out, obvious to any objective and realistic mind. It is that State Compulsory Education is a tremendous thing, potentially a tremendous tyranny, and by its very nature doing very much what all religious persecution attempted to do. If you punish people for not sending their children to schools, where some view of life (however vague) is implanted, you may be conducting education, and you may be justified in conducting education, but you are conducting persecution. The logic of the thing has not altered by the fact that light penalties are attached to those who will not accept the State teaching, when heavy penalties used to be attached to those who started some positive opposition teaching. You are, in fact, using the Secular Arm in the things of the Spirit; even if you call it the Spirit of Progress or the Spirit of True Christianity. And, in fact, the power has been used for things much less spiritual, not for Progress but for Prussianism; not for true Christianity but for tribal heathenism. A journalistic debate still lingers about What Caused the Great War. I should say that education caused the Great War. I should say that those huge combinations were the result of the compulsory culture peculiar to modern times. 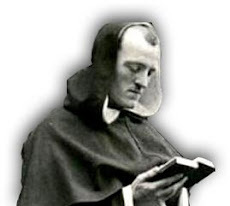 Dean Inge and other critics of Christian tradition always treat the Catholic school as something fitted up with all the engines of the Spanish Inquisition. But that is because they live in the past; in the time of the Spanish Inquisition, and have not yet heard of the Great War. Take the facts of modern Europe as they really stood in still recent times, and the truth is just the other way. Nobody believes that an ordinary Bavarian, left alone with his Catholic home and his Catholic school, with his relaxations of music and Munich beer, would ever have evolved all by himself the idea that he was a Super-man or a Nordic War-Lord eugenically destined to conquer the world. All that theory that Germany was one nation, that it was a Super-Nation, that it was a chosen people organically superior to Latins, Slavs and Celts, that never came out of Munich beer or music; it most certainly never came out of Catholic schools or Catholic doctrines. That aws imposed entirely, exclusively and forcibly, by the huge modern machine of universal instruction, which printed and stamped the Prussian idea upon every town from Poznan to Metz. I am not specially raising the question of war-guilt, though I have never changed my view of it; for indeed this particular generalisation was true in a lesser degree of the Allies also. The French State, in a much more civilised way, forced all citizens to learn the patriotism which divided nations, but not the religion that unites them. Then English, in a much more genial fashion, were educated in national narrowness, and it was amde compulsory to sing "What is the Meaning of Empire Day?" while it would be thought "sectarian" to sing the Dies Irae about the common doom of all mankind. In a word, Compulsory Education is Conscription. It is as modern as Conscription, as scientifically organised as Conscription, and it acted in international affairs to exactly the same manner as Conscription. This does not in itself prove that Compulsory Education is necessarily wrong. I do not myself think that Conscription is necessarily wrong. But what we now call Education does belong to that class of coercive, militant and sometimes servile things represented by the organisation of a modern army rather than by the emancipation or eccentricity of a modern poem. It is a great iron engine for hammering something, generally the same thing, into great masses of merely passive humanity. And anyone who is moved, as we are, to set the man against the machine, will have a certain suspicion of it at the start. For us the practical inference is this. Long before we can hope to abolish the huge centralised system of culture, even supposing that we really want to abolish it, we can do a great deal by standing out for exceptions, sometimes for exceptions, merely because they are exceptional. Mr. A.P. 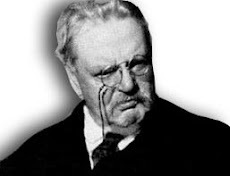 Herbert, that brilliant humorist and humanist, has already set such an example in relation to such an exception. Having at first lightly satirised the stupid brutality that would break up human families merely because they happen to live in houses in the water, he has later concentrated more seriously on the study of the exception, to bring its humours and humanities before the imagination of men. That is what the Distributist can do in the case of the alternative institutions that may balance the autocracy of State Instruction. He can do it especially, because of his social convictions, in the case of the poor family. He can do it, whatever his religious convictions, in the case of the Catholic school. He is fully justified, merely as a Distributist, in supporting anything that defends the domestic and individual organisation of mankind; for, whatever he may think of theocracies and religious despotism in the past, there has never been so full or deadly factory for the manufacture of minds.